Developer: Andras Csibi, based in Budapest, Hungary. Art: Csaba Kalman and Loci Alvegi of Noppa Design. 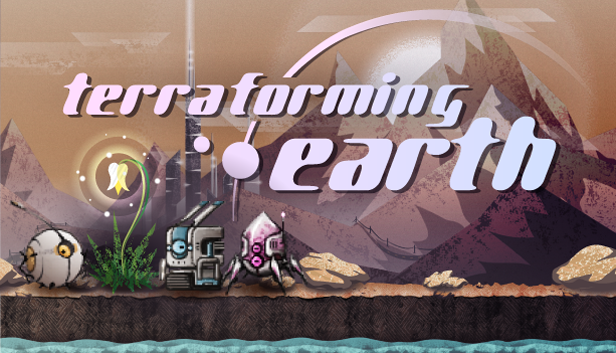 Terraforming Earth is a platform puzzler set in the not-so-distant future when one day all life disappears from the Solar System. The player controls three separate robots with different abilities, a' la Lost Vikings. They must work together to finish each procedurally generated level and solve the mystery. Note: some art still serves as a placeholder at this stage. Inspired by the amazing space and time-manipulating abilities introduced by Portal and Braid, Andras Csibi set out to create puzzles that rely on the combination of these superpowers. He reached back to the "single player co-op" format of Lost Vikings to bring together space, time, and gravity-warping game mechanics. In Terraforming Earth, levels are generated from a set of obstacles randomly, in unexpected ways. This results in surprising new combinations that are sometimes more interesting than the puzzles that the creators could have crafted by hand. Replay-ability is also an obvious advantage, especially in a co-op setting, where hand-crafted levels are only enjoyable if all parties see them for the first time. Andras enjoys how solving puzzles make him feel smart and wants his players to experience the same. His goal is to notice when players utter the "aha!" of triumph, and replicate these moments throughout the game. Using a play-centric approach, Andras is constantly testing the game among his friends and strangers to see whether his ideas are getting through. At first, they mostly don't. :) However, rapid iterations constantly improve the experience, which can be observed by playtests getting longer and longer every week. Thematically the game is about self-replicating robots restoring life on a desolate Earth. 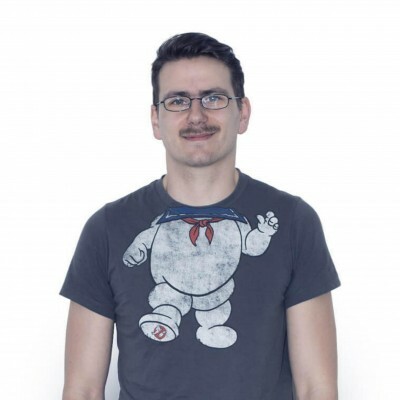 Trans-humanist topics such as space exploration, the threat and opportunity introduced by Artificial Intelligence and avoiding global existential risks is very close to Andras's heart. The main attraction of the game is solving 2D puzzles, so the extent of story-drivenness is still unclear at this stage of development. Andras has a solid background story in mind, we will see how much of it will unfold in the actual game. 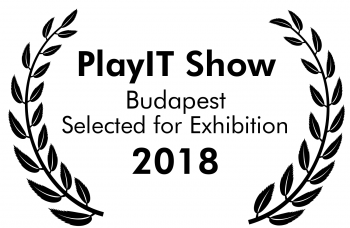 PlayIT Budapest live stream. Andras Csibi talks about the ups and downs of indie game dev, Hungarian YouTubers Isti Szalay and UNFIELD play our game. 2018-11-17. One year ago Andras Csibi had a comfy job at a big company, daydreaming about doing something useful. Creating a game that makes people feel smart seemed like a worthwhile goal, so he counted his savings, realized he wouldn't starve for a year, and jumped into making Terraforming Earth. Andras's vision and early prototypes convinced his friends at Noppa Design to drop some actual customers and take up the project's art direction. Csaba Kalman and Loci Alvegi filled Andras's dry and technical world with beautiful landscapes and a quirky character. We are conducting at least one playtest every week. This game is built on the shoulders of playtesters, we are just synthesising their ideas into a coherent game. 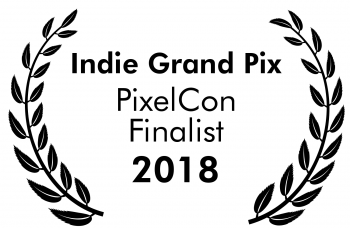 Huge thanks to all! We give permission to use this content for commercial use. Use at own risk.